Information: Lynn Rohrbough, author of books about folk dance, square dance, and musical games. 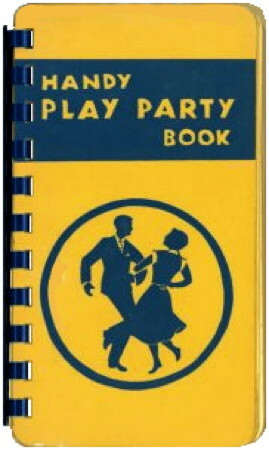 Handy Folk Dance Book. Rohrbough, Lyn. Delaware, Ohio: Cooperative Recreation Service, 1940. Treasures From Abroad: Folk Dances from Other Lands. Rohrbough, Lynn. Delaware, Ohio: Cooperative Recreation Service, n.d.
Golden Bridge: German Folk Recreation. Rohrbough, Lynn. Self published. 1952.